Bathing can be a balm to modern-day stress, researchers say, with the addition of essential oils increasing the benefits. In this hyper-fast, crazy-overscheduled, stress-inducing, 24/7 plugged-in reality, baths seem indulgent, even quaint, conjuring images of 19th century paintings of women with their hair swirled high atop their heads in old-timey tubs pouring pails of heated water about them. But a bath may be just what the doctor ordered. “Thirty minutes, or whatever it’s going to be, of relaxation can profoundly affect how you’re going to deal with the rest of your day,” says Dr. Michael R. Irwin, director of UCLA’s Cousins Center for Psychoneuroimmunology, Semel Institute for Neuroscience and the Mindful Awareness Research Center. More research is needed to understand exactly what an aromatherapy bath might accomplish, he says, but there are benefits to stillness in the moment. “When you become present in the moment, a profound relaxation occurs. It actually resets your physiology, regulates some stress hormones, helps with concentration and reduces tension,” says Irwin, who is part of a collaborative group researching integrative medicine drawing from East/West approaches. Although Dr. Irwin has around 150 peer-reviewed publications, I couldn’t find a single one about baths or aromatherapy. Dead Sea treatments are beneficial in several rheumatologic diseases and psoriasis and have a good safety profile. …silver level evidence concerning the beneficial effects of mineral baths compared to no treatment. Of all other balneological treatments no clear effects were found. However, the scientific evidence is weak because of the poor methodological quality and the absence of an adequate statistical analysis and data presentation. Not all of that history is pretty (especially in psychiatry) — see Death by Prolonged Shower-Bath. 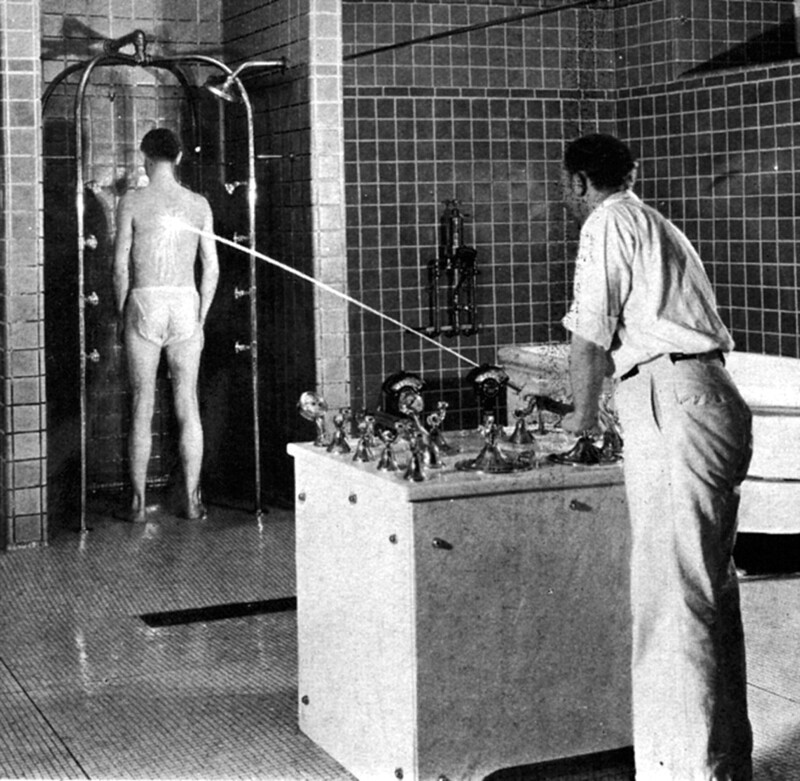 The baths were administered punitively and not merely as part of standard treatment. Few regular physicians these days make much of hydrotherapies; water cures and hydros are equally conspicuous by their relative absence from the armoury of contemporary fringe medicine and alternative medical philosophies; and, not least, the culture of the spa-resort…has fossilized into a facet of “heritage” . . . …in general it seems as if today’s regular medicine and its devotees seek therapeutic agents and regimes more potent than water, and followers of the fringe look to more exotic or occult manifestations of the curative powers of Nature.